People are naturally curious about their family’s past. Maybe your grandfather was a star in silent movies, or maybe your mother moved to the United States from Europe with only the clothes on her back. Perhaps you’ve always been told how much you look like your mother’s favorite cousin, or maybe you stumbled upon some old photos and would like to know more about the family members in them. Why Learn about Your Family History? Whatever the reason for your curiosity, knowing your family history does more than just preserve that information for generations to come. It can also be an eye-opening experience that allows you to learn where your ancestors came from, discover more about your hometown and preserve those special traditions or cultures, keeping them alive for the younger ones in the family. Additionally, you might find ways to connect or reconnect with family members you’ve lost touch with over the years. You may even discover you have nearby family you didn’t even know about! However, one of the most important reasons to dig into your family’s story is to learn more about their health and medical history. Your family health history can have a major impact on your own health and wellness. Why is this? Well, your genes not only determine factors like your hair and eye color or the shape of your nose, but certain health conditions can also be passed down through the generations. For instance, if your aunt had breast cancer or your father had heart disease, you could be at an increased risk for these types of conditions, too. Learning about your family’s medical history is one of the most important reasons to start digging into the past. While you should keep in mind that just because your family members may have had certain health conditions, this doesn’t necessarily mean you’ll have them, too. However, being armed with the information allows you to take the right steps to reduce your risk levels. You’ll know what types of factors you should be screened for, how often to get checkups and how to make the right preventive lifestyle changes. Have conversations with loved ones. The first step to discovering your family health history is to have some important discussions with your family members. Find out what conditions they have that you should be aware of and ask about their lifestyle habits. Just let your loved ones know what your end goal is: to create a detailed family medical history for yourself and the younger generations. Pay attention to your own health. Upon learning the conditions you could be genetically at risk for, take note of your own overall health. This means recognizing when you’re displaying symptoms that seem out of the ordinary and maintaining your annual physicals or making appointments to see your doctor when any symptoms worsen. Document your research. 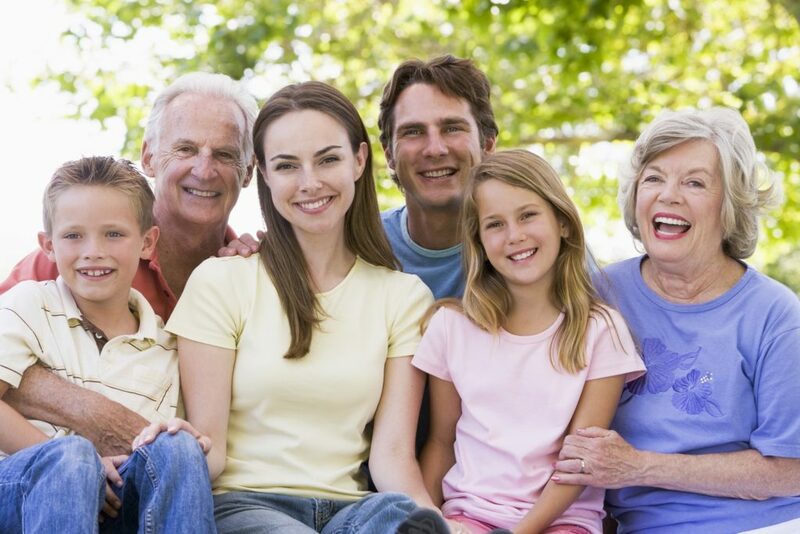 Keep a log of your family health history to make it easily shareable with others. You should include details like family members’ ages, the medical conditions they may have and the age at which they were diagnosed. Create copies for your doctors. Along with documenting your research for yourself and your family, create copies for your primary care physician and any other health specialists who may need it. This way, healthcare professionals will have easy access to the information, can assess your risk for any conditions and recommend treatment or lifestyle changes to implement right away. Undergo regular health screenings. Your doctor may also recommend you schedule annual screenings or tests for early detection of the conditions you could be at a higher risk for. These tests can help ensure you stay as healthy as possible, and if you do develop any conditions or illnesses, you can start the necessary treatment plans right away. At Immanuel Lutheran Communities, you can make yourself right at home, enjoying an engaging, vibrant lifestyle with more time to do the things you find most important. We make wellness a priority for residents, offering plenty of opportunities to improve your physical, emotional, intellectual, social and spiritual health. Contact us to learn more about the living options offered at our Kalispell retirement community located in the beautiful Flathead Valley.